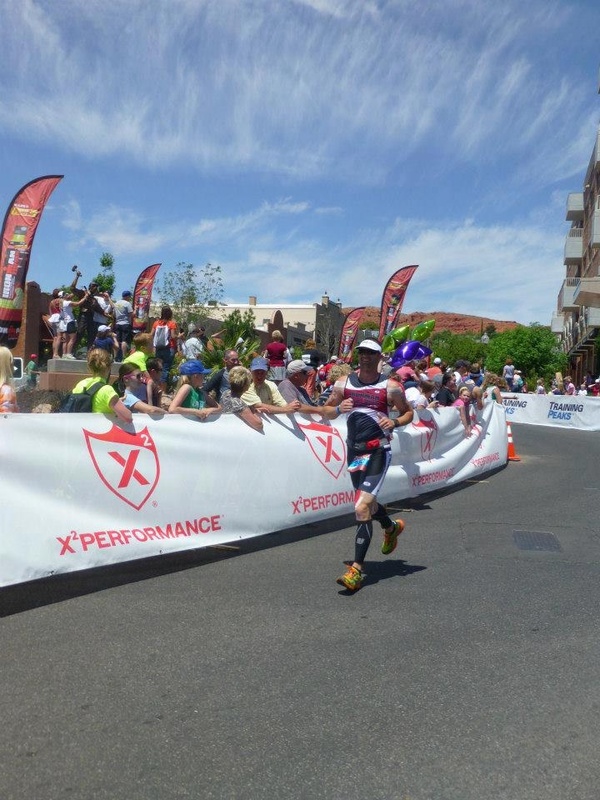 HURRICANE – Athletes from all over the globe have come to Southern Utah to participate in the feat of athleticism and willpower known as the Ironman 70.3 St. George, a grueling race that pits triathletes against a 1.2-mile swim, 56-mile bike ride and a 13.1-mile run. They come to test the limits of their bodies and minds on a course known for its difficulty, to see just how far they can go to cross the finish line. 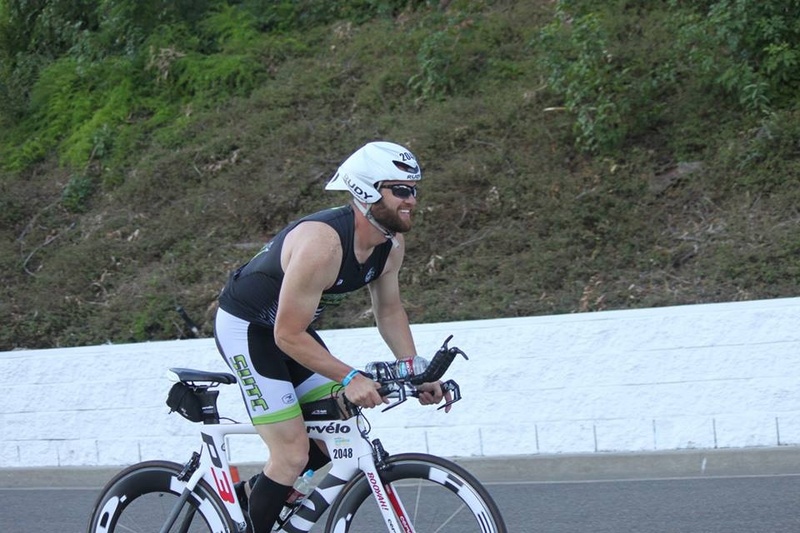 Hurricane resident and Ironman triathlete Lyle Anderson knows, perhaps better than most, what it really means to test his limits and ultimately prove triumphant. Anderson was diagnosed with multiple sclerosis on his 30th birthday, he said, and with that diagnosis, a prognosis that would affect not just his birthday but his future. Multiple sclerosis is an autoimmune disease, Anderson said, more specifically explained, your immune system recognizes your nervous system as foreign so it starts attacking it. Multiple sclerosis is an unpredictable, often disabling disease of the central nervous system that disrupts the flow of information within the brain, and between the brain and the body. Anderson first noticed symptoms of the disease in 2006 when he said his body went numb. Having no prior experience with MS, Anderson thought the numbness came from a pinched nerve so he went to a chiropractor. Although the original numbness eventually cleared up, more symptoms began to present themselves. Symptoms such as his body overheating, problems with his vision, slurred speech, short term memory loss and even difficulty walking at a quicker pace. A visit to the doctor confirmed what Anderson was already starting to suspect; he had multiple sclerosis. Anderson said the diagnosis really set him back and made him feel pretty defeated as he contemplated the changes he would need to make, including, if necessary, buying a single story home to accommodate a future with a debilitating disease that would likely have him in a wheelchair. But rather than quit, Anderson continued to work out and found, he said, that he would have days where he felt really strong after the gym. As the years progressed Anderson was offered the opportunity to have his entrance fee paid if he agreed to train for and run the St. George Marathon. That was in 2010, Anderson said, a race he attributes to the beginning of his journey as a runner and eventually triathlete. 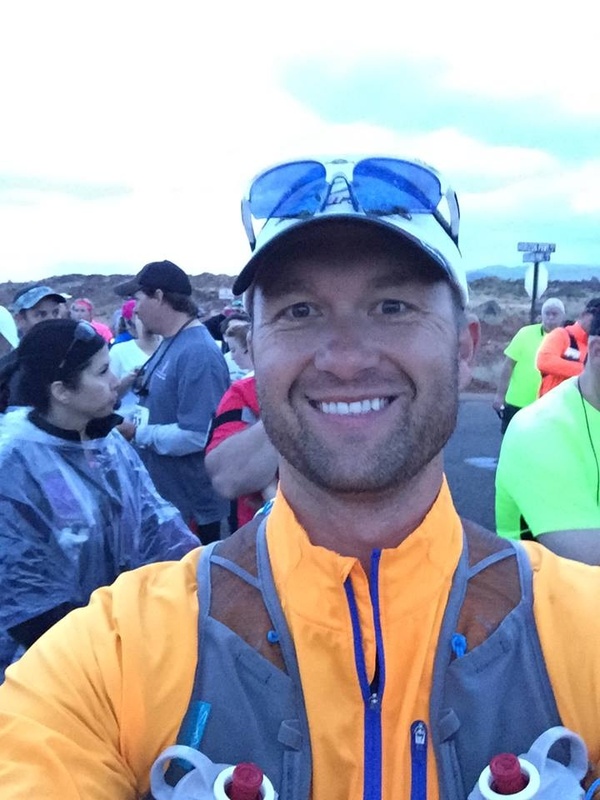 On his biography page for Vacation Races, where he works in race operations, it counts him at 40 plus half marathon finishes and nine full marathon finishes. 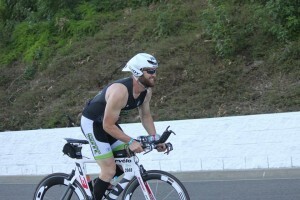 As a triathlete he has completed many races, including several Ironman 70.3 races and two full Ironman races, one of which was the Ironman World Championship in Kona, Hawaii – an opportunity which Anderson won by sharing his powerful and motivational story through Ironman’s Kona Inspired program. Anderson said his favorite of triathlon’s three disciplines is swimming because it puts you in an environment where you can give it your all. In the swim, Anderson said, he feels like he doesn’t have to be embarrased of his times. Morris, an inspiring athlete in her own right, who at 38 years old and with five kids manages to balance her dual life and train for triathlon, praised Anderson for his work ethic and positive attitude. Morris described Anderson as a breath of fresh air who is always laughing and positive but at the same time takes charge and works hard in all aspects of his life. There is no cure for multiple sclerosis but Anderson, now 38, said that diet and exercise has played a big role in how he feels about his present and his future, adding that he is hopeful.